If you are following the trends in the multirotor community, you should have heard about the new BLHeli_S firmware. 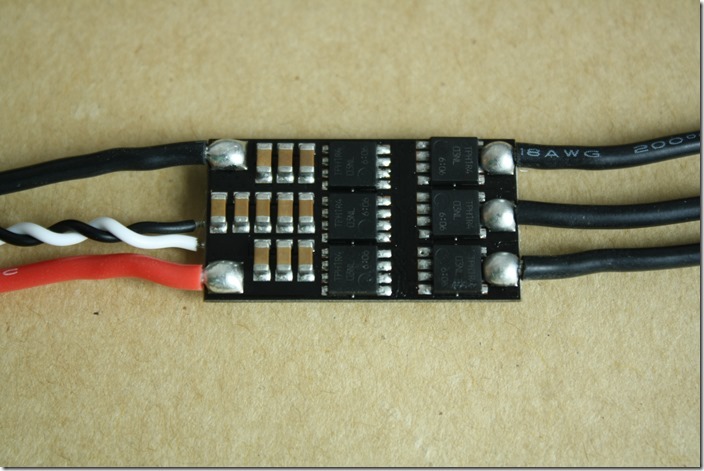 Currently there are not many ESCs that support this new firmware. 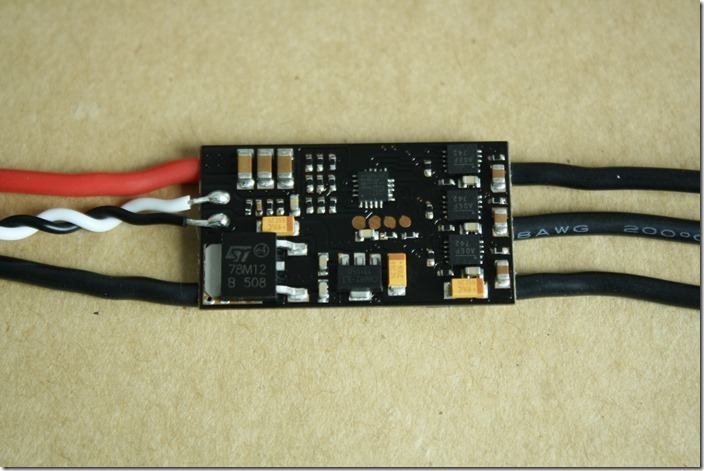 Steven from Shenzhen´s ZTW company sent me their ZTW Flash 30A BLHeli_S ESC to test it. Thank you again for your support! The Silabs MCU runs at 50Mhz and the ZTW Flash 30A comes preflashed with BLHeli_S Revision 16.0. BLHeli_S firmware does only damped light, so you don’t have the option do disable it. However you can enable/disable “Brake on stop” feature. When you zero your throttle, active brake will be applied. The ESC uses the same gate drivers as the LittleBee and XRotor 20A – MP1907. On the front side you can also see the ST 78M12 voltage regulator. Its max Vin is 35V, so in theory 6S LiPo use should be possible. The FETs are from Toshiba: TPH1R403NL. The datasheet states 60A drain current and up to 200A pulsed drain current. The build quality looks good and the PCB is 1.05mm thick. There is no external electrolytic capacitor, which could be a problem (voltage spikes), but I need to test it. I was amazed how smooth the throttle is! Personally I find the response to the throttle stick like on the KISS24A ESC or even better. Motor sounds completely different than with a regular BLHeli ESC and is so silent. Motor braking is not so good as on the KISS24A ESC, but it is ok. Not sure if this is because of the firmware or the hardware. 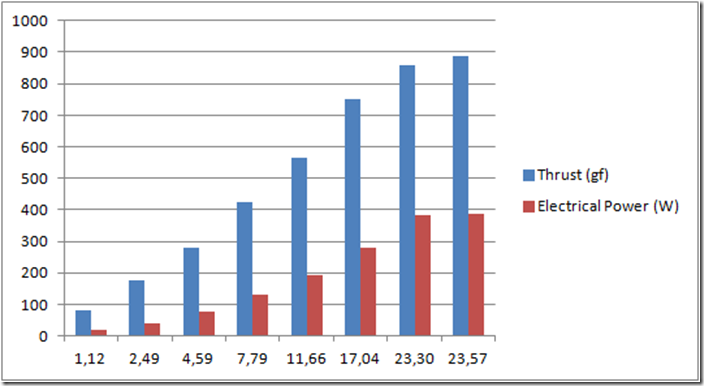 I have tested the ZTW Flash 30A with two of my best performing motors: Scorpion MII 2204 2300kv and 2700kv. 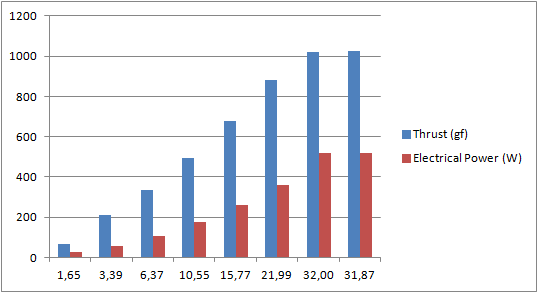 I have a lot of data for those with several other ESC from my previous tests, so I can compare it. The first picture shows the results from the 2300kv motor using 4S LiPo and HQ5045 propeller. 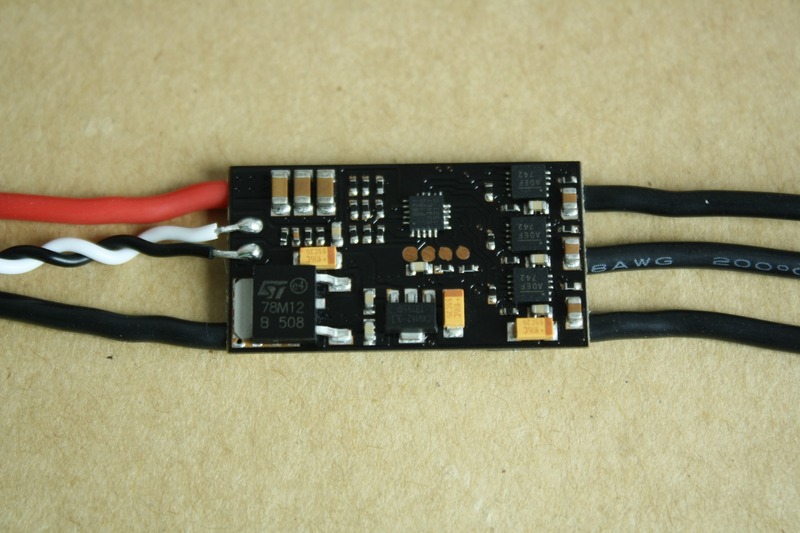 The maximum thrust achieved with the ZTW ESC was 887g at 28517 RPM. The electrical power was 386W and current 23,57A. It performed better than the KISS24A (845g), but not so good as the LittleBee 20A Pro (922g). 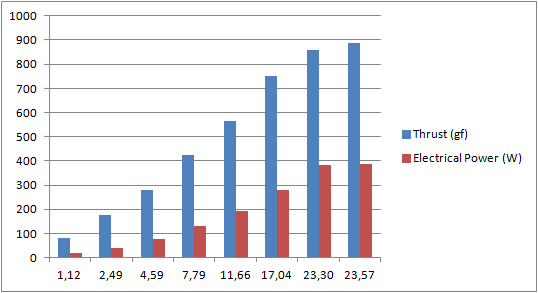 Similar results with the high-KV Scorpion 2204 2700kv motor: maximum thrust of 1026g at 30771 RPM. For reference: KISS24A – 963g, LittleBee 20A Pro – 1053g. After the test the ESC was barely warm, even it exceeded the 30A current . So far no sync problems with this high-KV motor. Summary: This is the first BLHeli_S I have tested, but I am extremely happy with the results. Finally we have a real competitor to the KISS ESCs. Maximum thrust is not a big drawback for me and the throttle smoothness is a huge advantage. You can find the new ZTW Flash 30A ESC on Banggood for 15.99$. 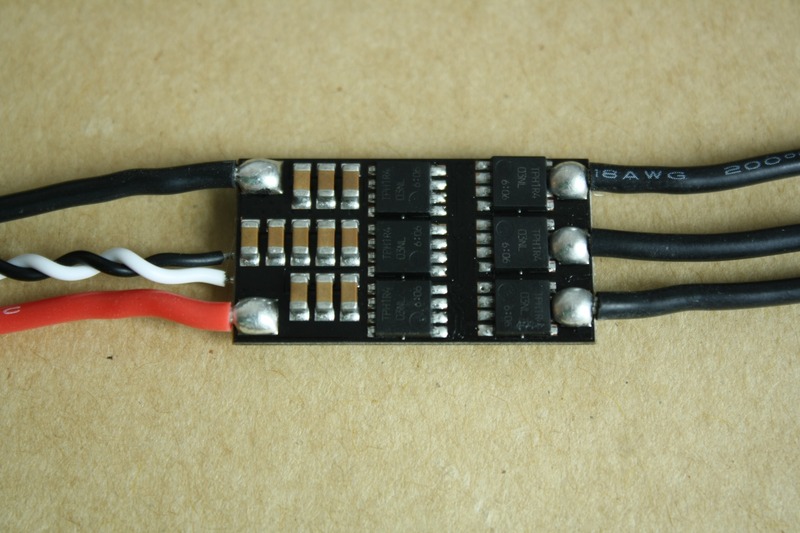 It costs a bit more than a regular BLHeli ESC, but less than a KISS24A. 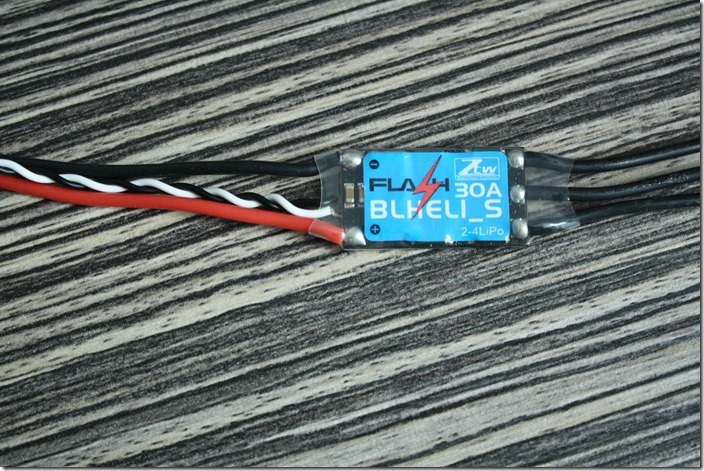 I am definitely going to do my next FPV build with the ZTW BLHeli_S ESC as I want to see the performance in flight with OneShot42 and MultiShot. Subscribe or like my Facebook page to be notified when the build log is out. 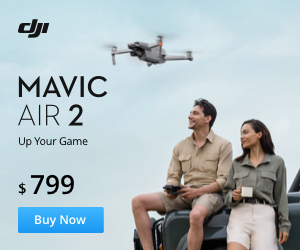 So the external capacitor it’s a must? I flashed these with BlHeli via Cleanflight method and now the bootloader is not detected via BlHeliSuite or BlHeli Configurator. I’ve read this article on using the C2 method but I’ve never done this before and dont know how to use a multimeter. Can you give me step-by-step or at least identify withe are the four pinouts on these esc’s to recover?